From 1897 Sanborn Fire Insurance Map. It isn't as clear as we would like it to be. From a 1898 photograph. 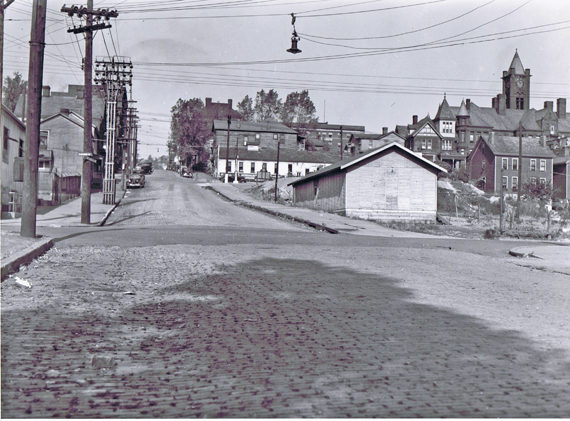 The street in the middle of the picture is Washington and the street on the far right is Union. 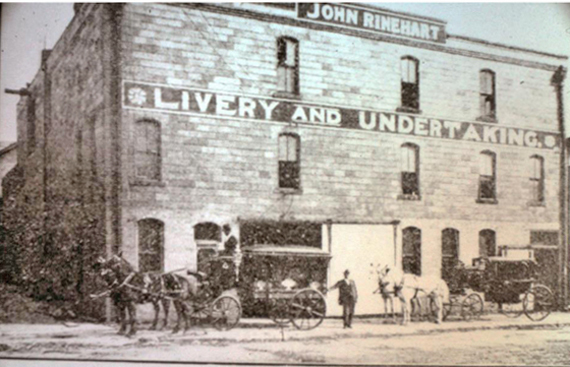 John Rinehart livery & undertaking business. 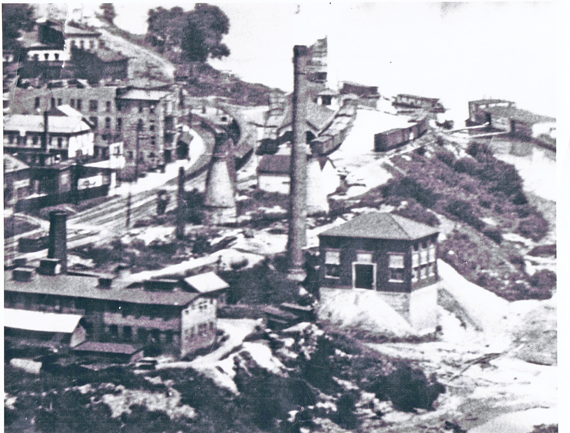 John Rinehart had came to east liverpool, 1876. He went into the livery & undertaking business. In 1884 his livery stable was destryoed by fire & immediately rebuilt--History of the Upper Ohio Valley, volume 2 pgs 352 & 353. This is looking north up Cherry Alley which ran along the livery Building. 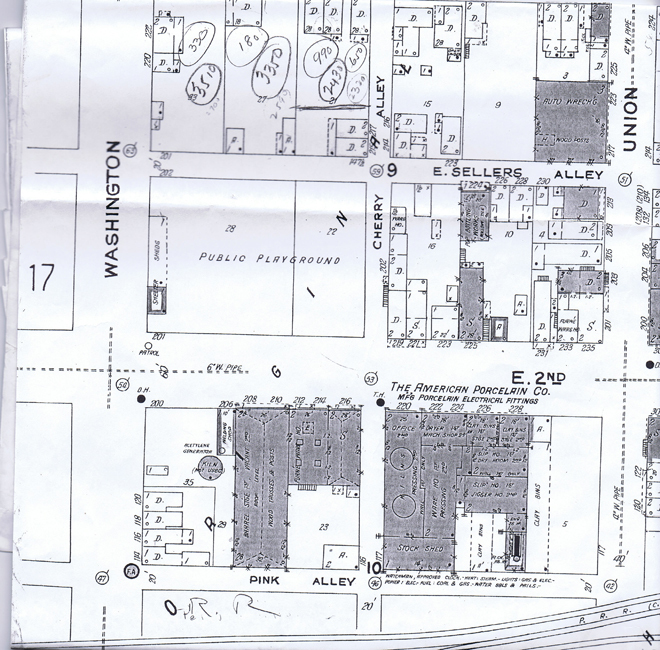 Cherry Alley ran north from East 2nd to where it ended at East 5th Street at the corner of East 5th and Broadway. 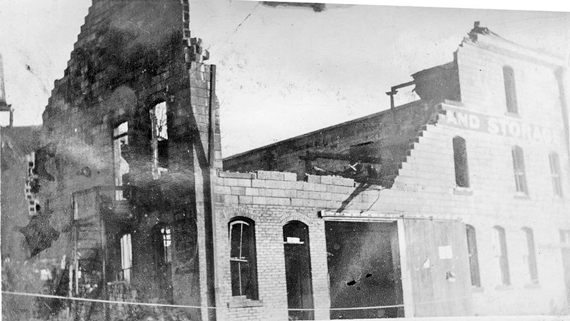 Central Building was on the east side of Cherry Alley and East 4th. 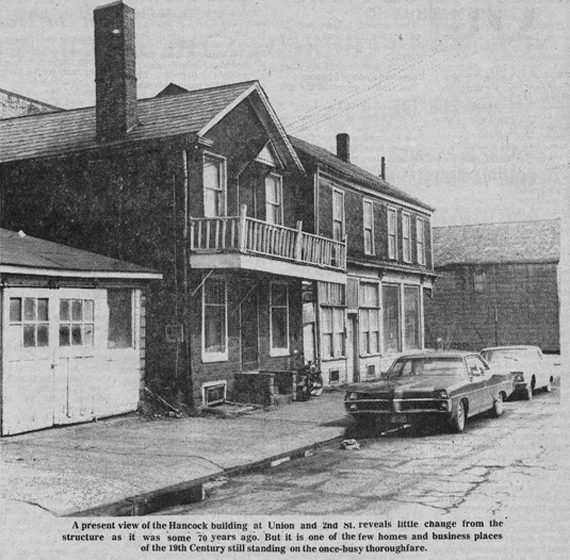 The Review Building was across the alley From Central Building and on the north side of East 4th and Cherry Alley was the Mary Patterson Building and the Library. 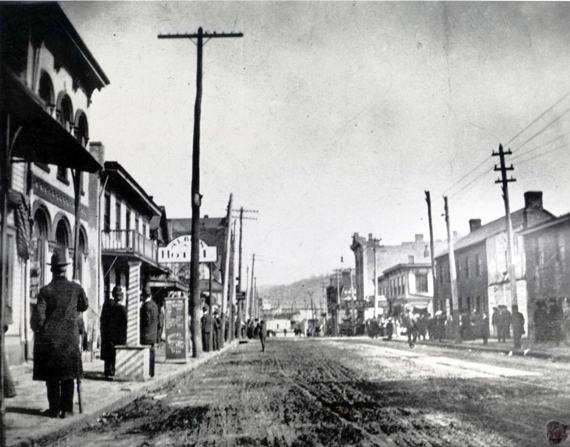 Looking East in the direction of Union Street and Broadway in 1907. Not certain where on 2nd Street this is located nor what year this is. But for the time being, until we get a chance to look for it in the City Directories at the Library, we will park it here. If we find that it needs to be relocated later we will do that then. From a 1923 Sanborn Fire Insurance Map. 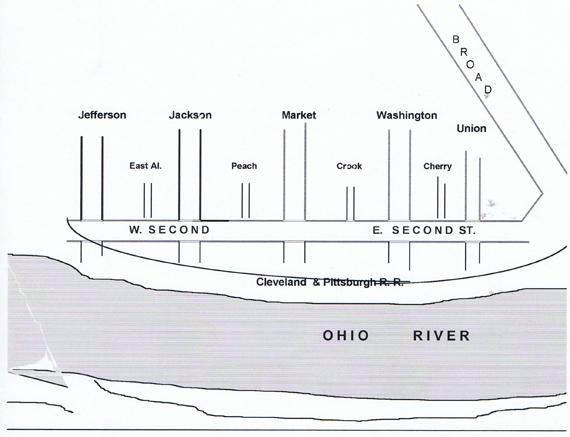 Simple diagram of 2nd Street. 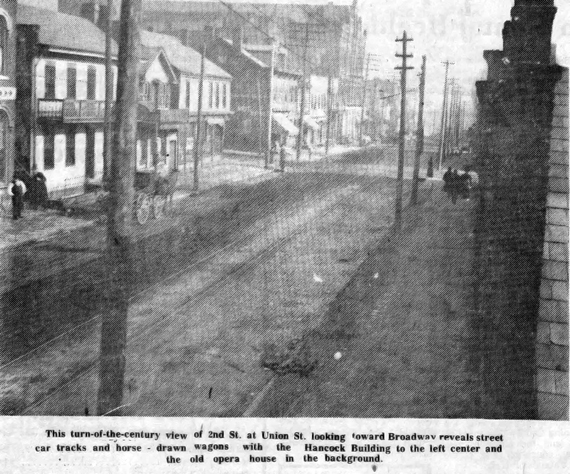 This article covers from Washington Street to Union Street. From a photograph we think was from around 1958-59 though it could be later. 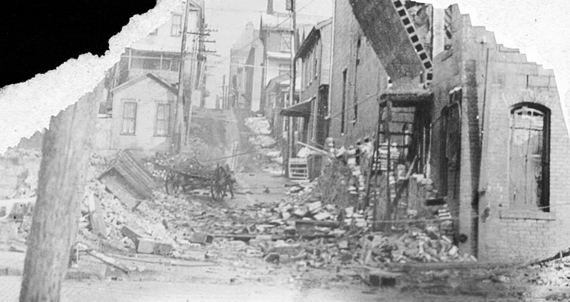 The street at the bottom of the photograph is Market Street. 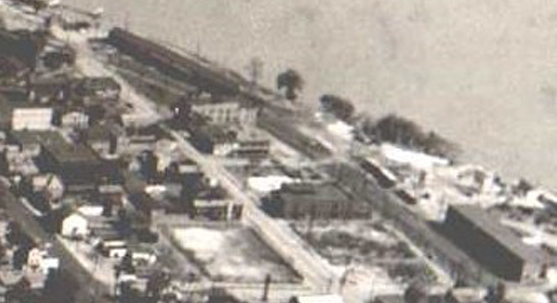 The street at the top of the picture is Broadway. Union Street is in between them in the photograph. Intersection of East 2nd Street and Washington Street. 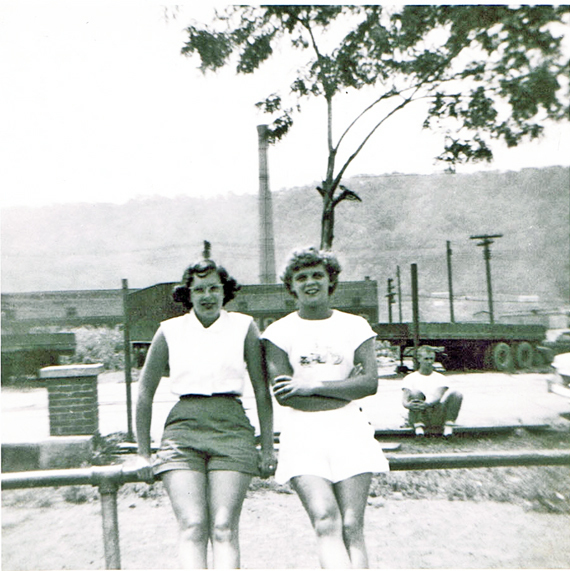 East Liverpool incinerator and crematorium. It sat on the East side at the foot of Washington Street. Technically it was on a portion of First Street that was still above water. My name is George Craft and I am a former resident of ELO. 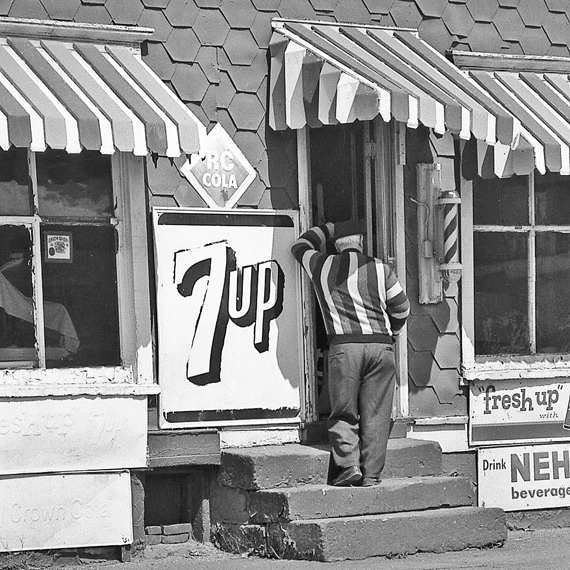 I am attaching a photo I took about 1972 of a barbershop on East 2nd Street. Sorry, I don't know the name of the shop or the individual standing in the doorway. I did the photo as a project for a class at Kent State. If you would like to post it to the pictures for the historical society you have my permission. This is "Kings" Barber Shop on E. 2nd Street. 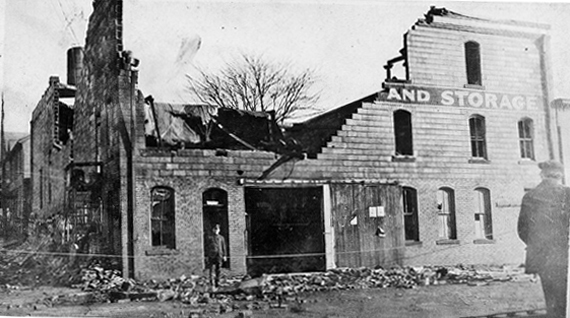 It was across the Street from the Manhattan Cafe about 5 buildings down from Hancock's store. You can see it very well in one of Hans Hacker's paintings on the CD. We used to play checkers with old King and hang out and drink pop there. King was an African American barber and loved the kids in the neighborhood. 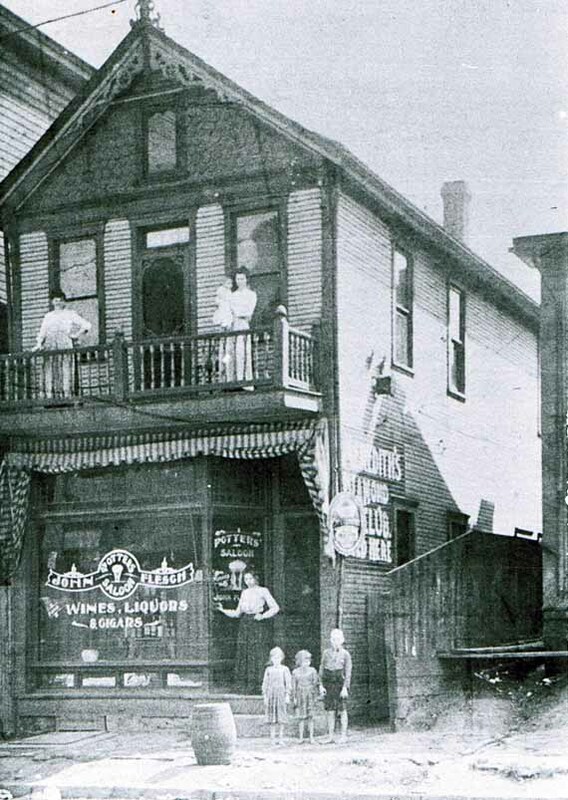 The address of the barber shop was 223 East 2nd Street - Webmaster. 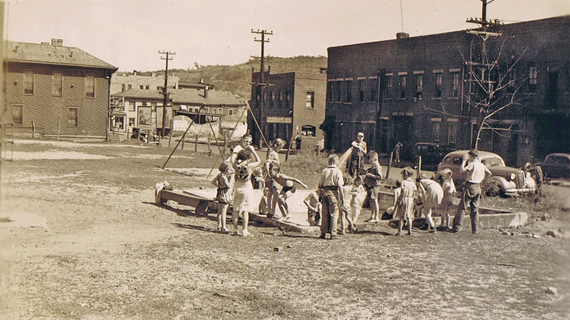 2nd Street Playground. Large Slide. 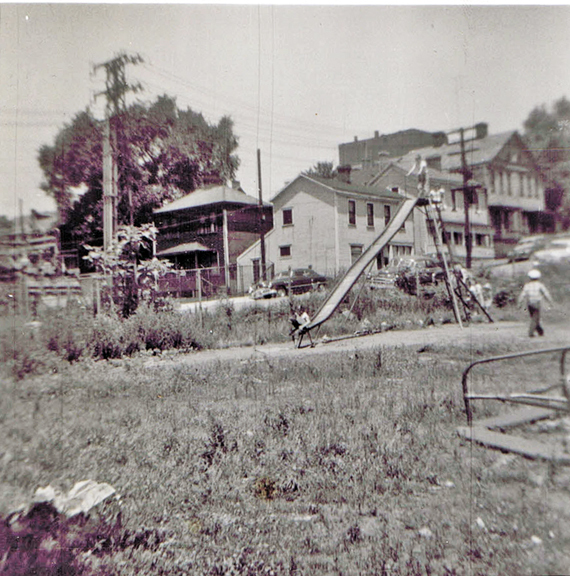 Next to Washington Street in background, 1954. Picture and text courtesy of Eddie Hedrick.